Not got much recently, i'll post a couple of old works and then make a couple of new ones. 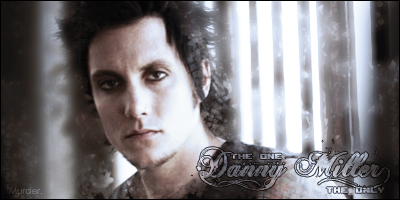 Ahhhhhh, its my old sig.....dont you just love it people, the young DMILLER. i shall go upstairs and make gfx NOW! Very good kid, I see the effects flowing into the picture, but it as that hardside to it, it works in a way, and on the other don't if you know what TK means. I like it, but the font could have alot of work onto it, You could maybe used a dotted brush to help you out!